Koyo is Japans largest aftermarket radiator manufacturer. Koyos "R" Series aluminum radiators feature a 53mm (2 1/16 in) thick, all aluminum core brazed to polished aluminum end tanks for a show quality finish. 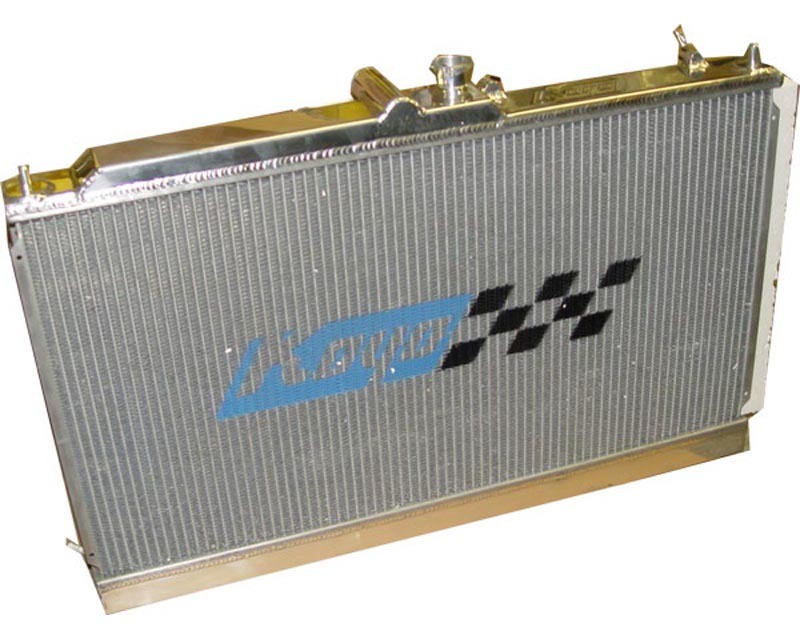 The Koyo radiator is produced from aircraft quality aluminum and Heli-arc welded. Heli-arc soldering is the highest quality standard for enforcement along aluminum connections. - Fully polished to a mirror finish. 30% more cooling than standard radiators. Perfect for Turbocharged, Supercharged & Nitrous Oxide equipped engines - Custom built OEM fit. All radiator cores and tanks are specifically designed and built for each application. No universal fit parts are used. This ensures proper fit, just like your original equipment! Made from aircraft quality aluminum and Heli-arc welded, cores are NOCOLOK-brazed. Koyo is a Japanese company established in July of 1956 as Ejiri Radiator in Nagoya, Japan (Aichi Prefecture) as a radiator repair shop. Twelve years later in 1968, Ejiri Radiator established a radiator and oil cooler factory in Nagoya. They then separated their production facilities from their repair facilities and began manufacturing radiators. Two years later in 1970, Ejiri Radiator was renamed to Koyo Radiator Manufacturing and began expanding to branches all over Japan. Koyorad quickly developed into an industry leading Aftermarket Radiator Supplier worldwide.